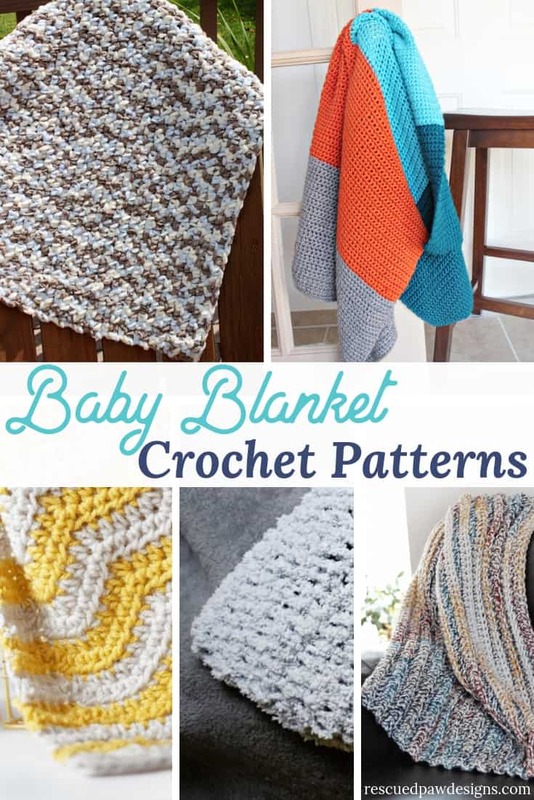 If you are looking for some beginner friendly baby blankets to crochet then this list of free crochet patterns for babies might be it! Read on down to find a list of 7 free crochet baby blankets that are perfect as gifts for little ones! 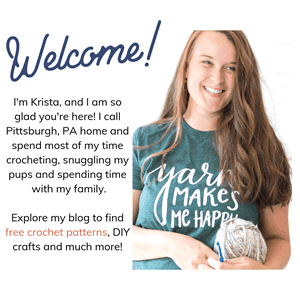 I will teach you about the best crochet stitches, yarns and more when learning how to crochet a baby blanket! 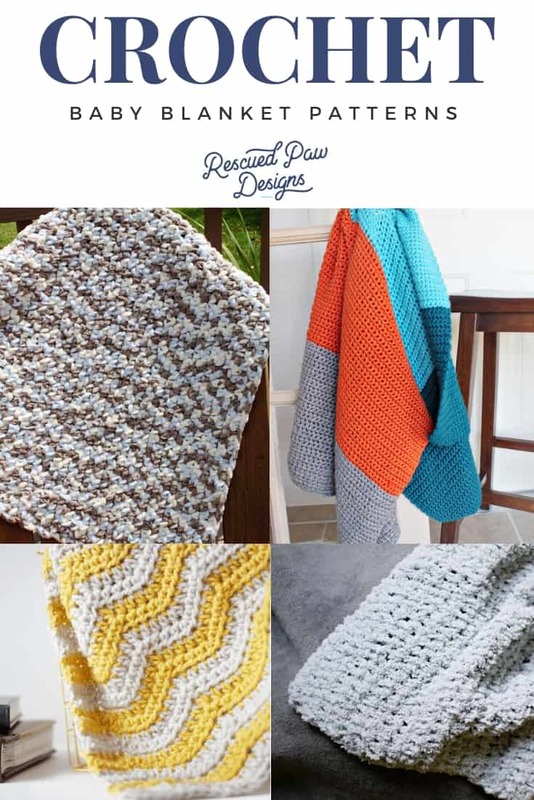 Keep on reading down to learn all about baby blankets and get the free patterns below! What Crochet stitch should I use for Baby Blankets? 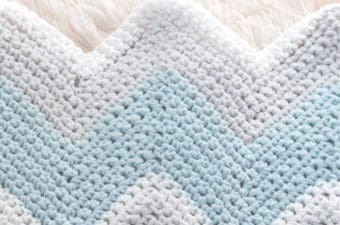 When looking for a crochet pattern for baby blankets the first thing that you should look for is what stitches are used. Most baby blankets should be made with a single stitch so little fingers can’t slip through the stitches. I recommend the single crochet, half double crochet or even a double crochet stitch. I will have a few single stitch baby blankets listed below so you can pick your favorite! Another thing to keep an eye out for when crocheting a baby blanket is what type of yarn is used in the crochet pattern. I prefer to use acrylic yarn because that way it is durable and washable. Also, I suggest to stay away from wool for these baby blankets because a little ones skin can be extremely sensitive. Even if a pattern calls for wool it is easy to substitute out with something that will be a gentler against a newborns skin. I suggest any yarn that is cozy and soft as a must make a babies blanket with! Check out the Bernat Baby Blanket Yarns I LOVE below and one’s your definitely going to want to use on your next crocheted baby blanket! 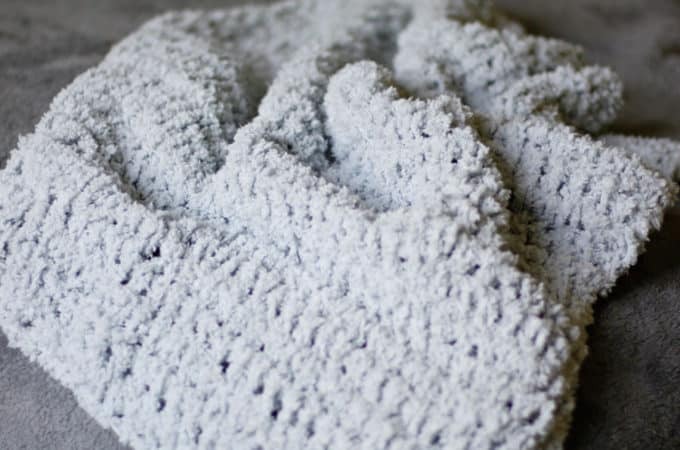 Ready to get started on some easy crochet baby blankets? I can’t wait for you to take a look at this list! 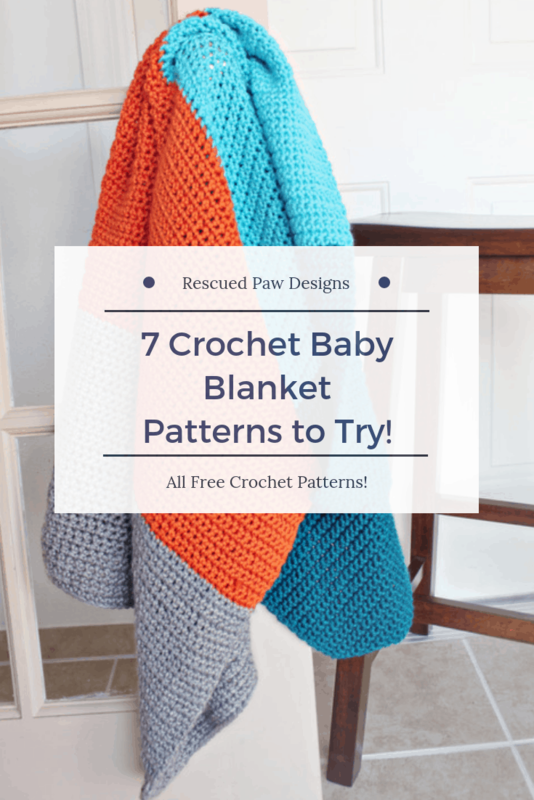 Scroll on down to find a fun roundup of 7 crochet baby blanket patterns and get started today on your next blanket project today! Happy Baby Blanket Crocheting Friends! 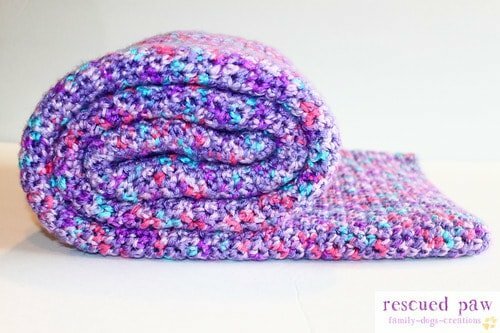 This crochet ripple baby blanket pattern uses just one stitch and can be customized in any color you wish! 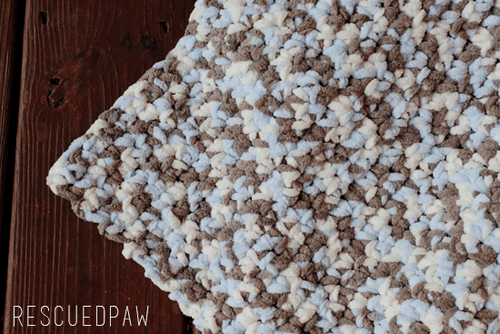 This extra soft crochet baby blanket pattern would make the perfect baby shower gift and is on of the easiest DIY project to make! In need of a quick baby shower gift or blanket, then this blanket stitch crochet blanket will be the perfect go to project for baby! It also happens to look great in any color too! 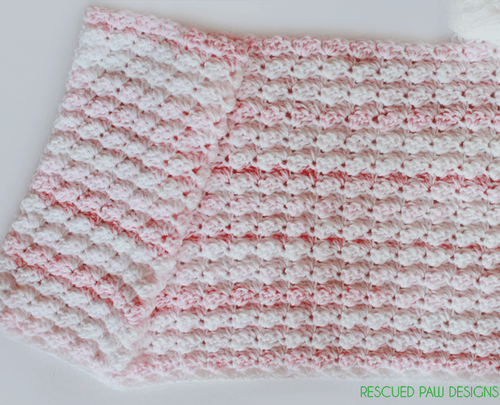 Looking for a chunky & easy crochet baby blanket pattern? 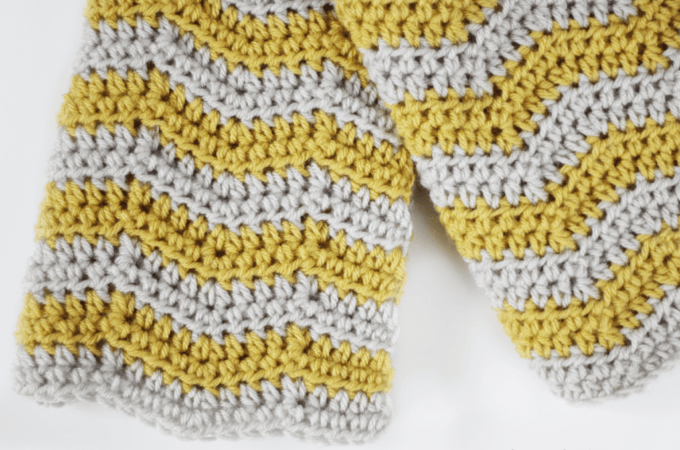 This simple pattern uses just one mega bundle of soft yarn so it is sure to be the one! 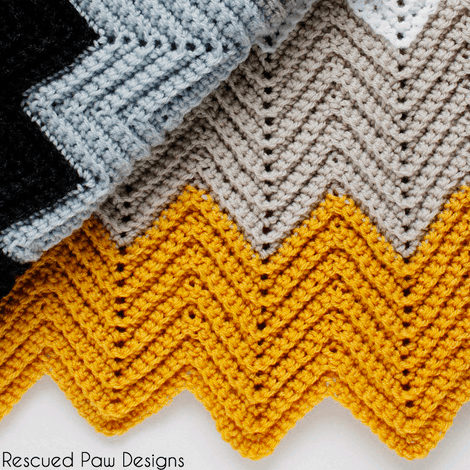 This easy crochet chevron baby blanket consists of 7 different colors, color blocked in a unique chevron pattern worked in the back loops only to create a awesome looking blanket! This single crochet baby blanket crochet pattern is simple, uses one stitch and is perfect for beginners! 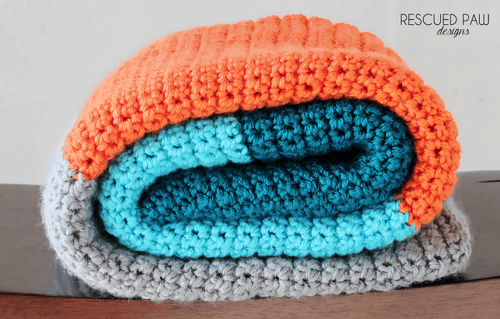 This Simple Color Blocked Crochet Blanket Pattern is the perfect beginner- friendly baby blanket project & tutorial to tackle. Share your finished baby blanket with RPD! 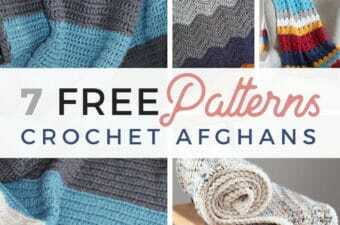 That is it for my fun list of free crochet baby blanket patterns! 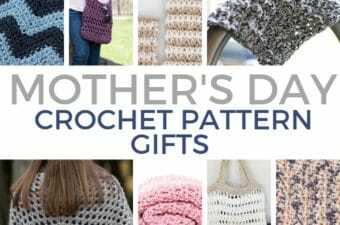 Please let me know which one is your favorite and if you do decide to make one show it off in our RPD Crochet Club Facebook Group!